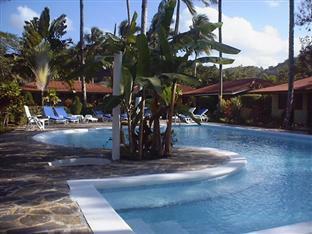 ﻿ Best Price on Hotel Palococo in Las Terrenas + Reviews! Hotel Palococo is located 5 minutes’ drive from Pueblo de los Pescadores Beach and 1.9 mi from Punta Bonita Village. 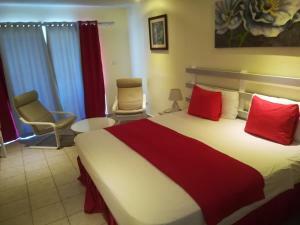 It features free Wi-Fi, a garden and a furnished terrace with a swimming pool. The rooms feature indigenous-style décor, a fan, cable TV, telephone and mini-bar; while the bathrooms are private and come with shower and hairdryer. This hotel offers and outside living room for guests to relax and an on-site restaurant that serves seafood. Continental breakfast is included. 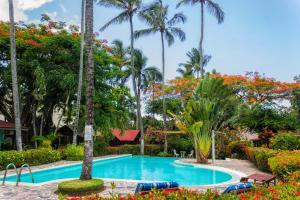 Hotel Palococo is 9.3 mi from El Limon Waterfalls and 10 minutes’ drive from Marico Beach. Los Haitises National Park is 25 mi away and Samana International Airport is a 20-minute drive away. A minibus offers free shuttle to the main beach.